The Make Up For Ever Aqua Liners that debuted at Mercedes-Benz Fashion Week Swim in Miami last year are finally here! 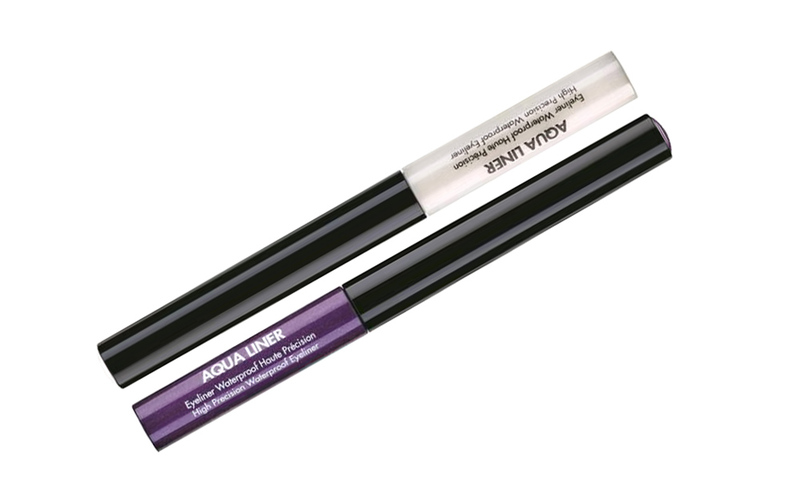 Formulated with acrylic copolymer that forms a flexible film to lock water out, together with amino acids derived from apply juice, the Aqua Liner promises to deliver a long-lasting, waterproof result with high-color intensity and bold pay-off. 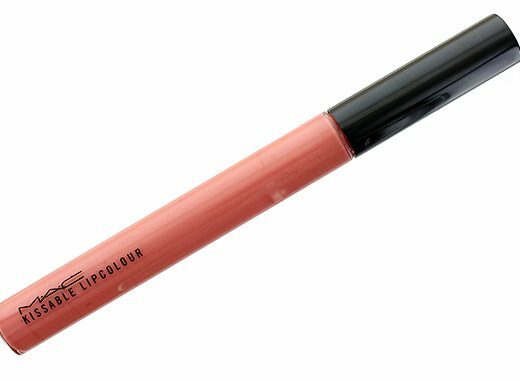 The liner is packaged exactly like Stila Sparkle Waterproof Liquid Eye Liner and MAC Superslick Liquid Eye Liner, and comes in a long, slim tube with a small foam tip that allows great precision. The 15 shades available range from bright hues of blue, green, purple, gold, fuchsia, burgundy to work-safe colors like black and brown, and come in 3 finishes. Matte is a flat color, Iridescent comes with tiny shimmer and Diamond leaves behind a sparkling finish. I have 2 colors. 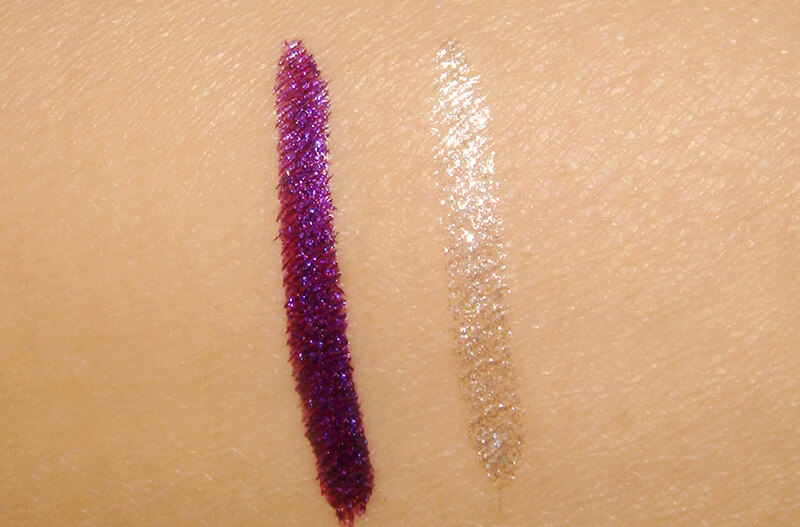 #8 Iridescent Electric Purple is a shimmery royal purple that makes brown eyes pop while #16 Diamond White is a frosty silvery white that works great on the tear duct. 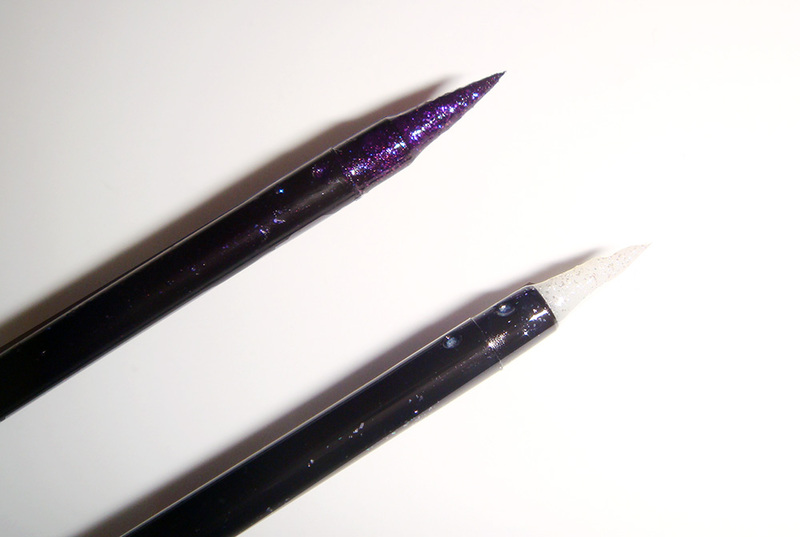 Just like the Stila, the Aqua Liner glided on easily with great ease. Pigmentation too was great and it wore very well throughout the day with zero flaking, smudging or fading too. Make Up For Ever Aqua Liner is available at Sephora for $23. Phyllis, long time no talk! 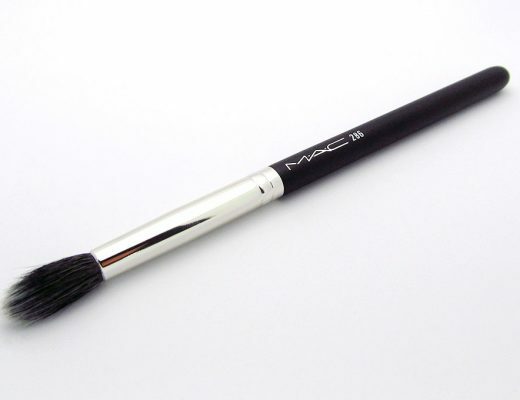 I`m so glad you did a review on these because I`ve been contemplating getting these! You turned me on to the Aqua Eyes pencils, and I think now I`m gonna make these my hg too! Thanks love! Do you find that these flake when packed on like MAC’s superslick liquid liners? Nope the MUFE are much finer and didn’t flake at all.